While many Americans are in a panic to pay their tax bill today, millions of others are getting a generous "refund" check back from the IRS, which is not much different from a welfare check except that it's run through the tax code instead of through the Department of Health and Human Services. 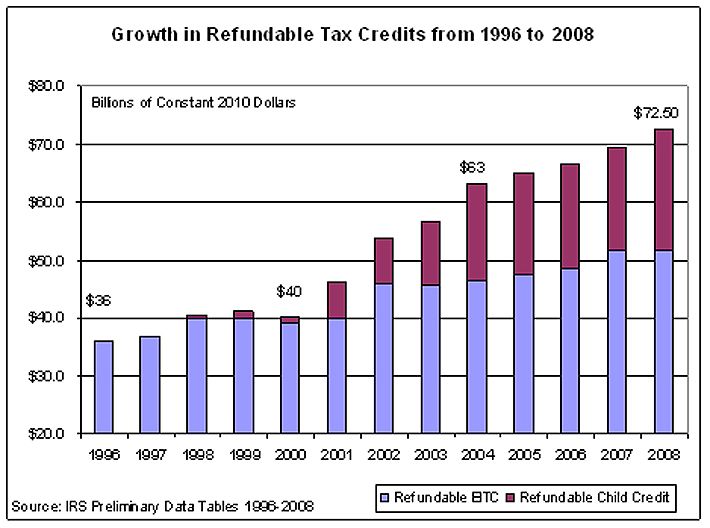 According to the latest IRS data, the amount of refundable credits paid out by the IRS has doubled in real terms since 1996. Most tax credits can only reduce a taxpayer's amount due to zero, but the EITC and the child tax credit are also refundable, meaning that taxpayers are eligible to receive a check even if they have paid no income tax during the year. 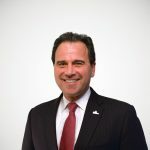 According to the annual report of the IRS's National Taxpayer Advocate, about 62 percent of all taxpayers use tax return preparers, and the percentage climbs to about 73 percent for those claiming the EITC. Moreover, the complexity of EITC eligibility is a contributing factor to the estimated $10 billion to $12 billion in erroneous overpayments out of nearly $44 billion of total EITC claims in 2006.